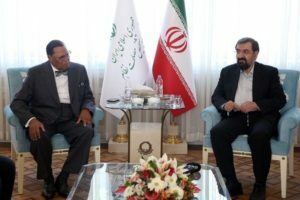 The Honorable Minister Louis Farrakhan's Nov. 8, 2018 press conference in Iran's capital city Tehran. TEHRAN, Iran (Nov. 7, 2018) - I am not and have never been an enemy to America, nor the people of America. However, I love America enough to speak unpleasant truths that are in the best interests of an erring nation that perhaps she may change her conduct and course. I have an abiding love for the right to free speech, the right to a free press and the right every human being has to hear the truth. It is only truth spoken in season that can bring us what we desire of freedom, justice, equality and, ultimately, peace. All of us are not going to make it. But those who are sincere and committed will rise. Then we are able to face the world of disbelievers because we have been cleansed. So Satan is talking to Allah when he says respite me ‘til the day when they are raised and Allah says surely you are of the respited ones. Then Satan comes back at Allah … because you have judged me as erring, or off the path, I am going to lie in wait for them in thy straight path. Satan isn’t waiting in the White House. Satan is right in the path of Allah. You don’t go all out fighting for somebody that’s a temporary ruler that may be right today and wrong tonight. We go to war for Allah who is never wrong at any time. And then we said to them … now the troops are in Kuwait they are ready to come across now to fight. 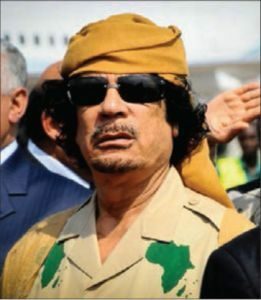 And Brother Saddam, bless him, he was telling how he was going to win … . I said, why don’t you empower me? Let me go back to America and ask the president to hold off the American warriors while the Muslims settle their differences. Mohsen Rezaee, secretary of the Expediency Discernment Council: Just the way you speak you speak so well I could sit here for several hours listening to you. Mr. Rezaee: For the sacrifice that you made for coming here is a sacrifice for Allah, I appreciate that very much. Min. 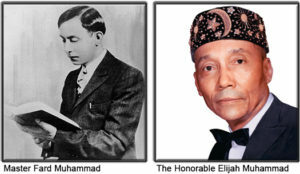 Farrakhan: Thank you. I was telling a brother that while I was on the plane coming to Doha, Qatar, and I was in this little cubbyhole in the business section and it’s private because we could close a little door and I was making a prayer. And it was as if Allah was telling me that I’m coming here at the right time and giving me words to say. I began weeping so hard that my body was trembling because I wasn’t so sure that this was the right time for me to be here. But Allah was comforting me, making me to know that there is no better time for me to be here than the time when my brother is suffering. Why shouldn’t I be here, to be with my brother as he’s going through something? So in closing dear brother, I know that they’re going to put very harsh sanctions on Iran and it’s going to make it very difficult. As you said, they have been persecuting Islam since the revolution started. Now it’s worse because they have not been able to defeat the revolution. So the Believers, the Muslims, the people of Iran have to be inspired to make the most sacrifices that they’re going to have to make. So that we can get through the sanctions and America does not win with a sanction that will create upset with the people who are being deprived of some necessities. I’m honored to be here at this time. I already know that I may be charged with sedition and treason and I already know that we will be persecuted if war comes. 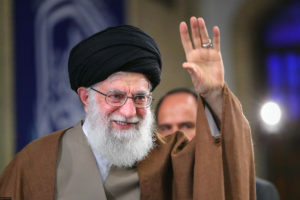 I already told the government if you fight Iran, we cannot help you to kill our own believing brothers and sisters. And that means that we will be persecuted more, and may go to prison. But we are sure we’re going to win, we’re very positive. And what Allah may guide me to say from Tehran, they put sanctions on you. But Allah is bringing Judgment against America. And I will state these judgments that our teacher taught us. 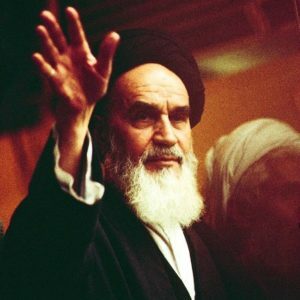 The Mahdi said, America is number one on His list to be destroyed. After I give a lecture, I tell the people to watch the weather and then I leave. I’m going to say it again when I leave here, watch the weather and see what Allah is going to do inside and outside of America. Allah is with us if we are with Him. We’re going to win because it is Allah’s Will that truth triumph over evil and falsehood … and I won’t say Inshallah. I say we’re going to win because it is the Will of Allah that we are victorious. Thank you so much.